I am going through family history and a thought occurred to me. If I have different pictures, how can I make sure that they are the same person? 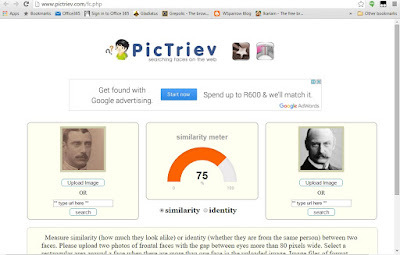 After looking at a great deal of pages, software, etc I found PicTriev. thinks it is the same person. (whether they are from the same person) between two faces.